Membership of the Academia Europaea (MAE) is an award conferred by the Academia Europaea to individuals that have demonstrated “sustained academic excellence”. Transvaal is a historical geographic term associated with land north of the Vaal River in South Africa. A number of states and administrative divisions have carried the name Transvaal. Gauteng, which means "place of gold", is one of the nine provinces of South Africa. The Royal Commission for the Exhibition of 1851 is an institution founded in 1850 to administer the international exhibition of 1851, officially called the Great Exhibition of the Works of Industry of all Nations. The Great Exhibition was held in The Crystal Palace in Hyde Park London, England. The enormous building was designed by Joseph Paxton for the Exhibition and construction was supervised by William Cubitt using a cast iron space frame for the glass panes, with wooden beams for flooring. Jack David Dunitz FRS is a British chemist and widely known chemical crystallographer. He was Professor of Chemical Crystallography at the ETH Zurich from 1957 until his official retirement in 1990. He has held Visiting Professorships in the United States, Israel, Japan, Canada, Spain and the United Kingdom. Leslie Eleazer Orgel FRS was a British chemist. He is known for his theories on the origin of life. 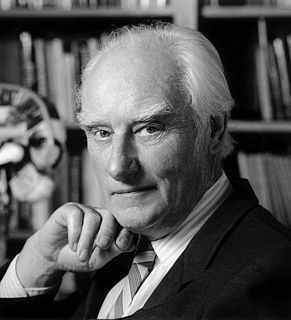 Francis Harry Compton Crick was a British molecular biologist, biophysicist, and neuroscientist. In 1953, he co-authored with James Watson the academic paper proposing the double helix structure of the DNA molecule. Together with Watson and Maurice Wilkins, he was jointly awarded the 1962 Nobel Prize in Physiology or Medicine "for their discoveries concerning the molecular structure of nucleic acids and its significance for information transfer in living material". The results were based partly on fundamental studies done by Rosalind Franklin, Raymond Gosling and Wilkins. James Dewey Watson is an American molecular biologist, geneticist and zoologist. In 1953, he co-authored with Francis Crick the academic paper proposing the double helix structure of the DNA molecule. Watson, Crick, and Maurice Wilkins were awarded the 1962 Nobel Prize in Physiology or Medicine "for their discoveries concerning the molecular structure of nucleic acids and its significance for information transfer in living material". Caenorhabditis elegans is a free-living, transparent nematode, about 1 mm in length, that lives in temperate soil environments. It is the type species of its genus. The name is a blend of the Greek caeno- (recent), rhabditis (rod-like) and Latin elegans (elegant). In 1900, Maupas initially named it Rhabditides elegans, Osche placed it in the subgenus Caenorhabditis in 1952, and in 1955, Dougherty raised Caenorhabditis to the status of genus. Sir John Edward Sulston was a British biologist and academic who won the Nobel Prize in Physiology or Medicine for his work on the cell lineage and genome of the worm Caenorhabditis elegans in 2002 with his colleagues Sydney Brenner and Robert Horvitz. He was a leader in human genome research and Chair of the Institute for Science, Ethics and Innovation at the University of Manchester. Sulston was in favour of science in the public interest, such as free public access of scientific information and against the patenting of genes and the privatisation of genetic technologies. The Francis Crick Medal and Lecture is a prize lecture of the Royal Society established in 2003 with an endowment from Sydney Brenner, the late Francis Crick's close friend and former colleague. It is delivered annually in biology, particularly the areas which Francis Crick worked, and also to theoretical work. The medal is also intended for young scientists, i.e. under 40, or at career stage corresponding to being under 40 should their career have been interrupted. 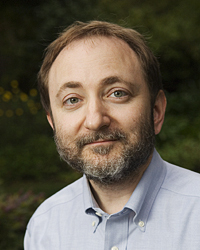 Andrew Zachary Fire is an American biologist and professor of pathology and of genetics at the Stanford University School of Medicine. He was awarded the 2006 Nobel Prize for Physiology or Medicine, along with Craig C. Mello, for the discovery of RNA interference (RNAi). This research was conducted at the Carnegie Institution of Washington and published in 1998. Cynthia Jane Kenyon is an American molecular biologist and biogerontologist known for her genetic dissection of aging in a widely used model organism, the roundworm Caenorhabditis elegans and professor at the University of California, San Francisco (UCSF). Apoptosis is the process of programmed cell death. From its early conceptual beginnings in the 1950s, it has exploded as an area of research within the life sciences community. As well as its implication in many diseases, it is an integral part of biological development. John Graham White is a Professor Emeritus of Anatomy and Molecular Biology at the University of Wisconsin–Madison. The nematode worm Caenorhabditis elegans was first studied in the laboratory by Victor Nigon and Ellsworth Dougherty in the 1940s, but came to prominence after being adopted by Sydney Brenner in 1963 as a model organism for the study of developmental biology using genetics. In 1974, Brenner published the results of his first genetic screen, which isolated hundreds of mutants with morphological and functional phenotypes, such as being uncoordinated. In the 1980s, John Sulston and co-workers identified the lineage of all 959 cells in the adult hermaphrodite, the first genes were cloned, and the physical map began to be constructed. In 1998, the worm became the first multi-cellular organism to have its genome sequenced. Notable research using C. elegans includes the discoveries of caspases, RNA interference, and microRNAs. Six scientists have won the Nobel prize for their work on C. elegans. Leslie Barnett was a British biologist who worked with Francis Crick, Sydney Brenner, and Richard J. Watts-Tobin to genetically demonstrate the triplet nature of the code of protein translation through the Crick, Brenner, Barnett, Watts-Tobin et al. experiment of 1961, which discovered frameshift mutations; this insight provided early elucidation of the nature of the genetic code. Jonathan Alan Hodgkin is a British biochemist, Professor of Genetics at the University of Oxford, and an emeritus fellow of Keble College, Oxford. Julie Ann Ahringer FMedSci is am American Professor of Genetics and Genomics, and a Wellcome Trust Senior Research Fellow at the Gurdon Institute and the Department of Genetics at the University of Cambridge. She leads a research lab investigating the control of gene expression. Cell lineage denotes the developmental history of a tissue or organ from the fertilized embryo. Cell lineage can be studied by marking a cell and following its progeny after cell division. Some organisms as C. elegans have a predetermined pattern of cell progeny and the adult male will always consist of 1031 cells, this is because cell division in C. elegans is genetically determined and known as eutely. This causes the cell lineage and cell fate to be highly correlated. Other organisms, such as humans, have variable lineages and somatic cell numbers. 1 2 3 Friedberg, Errol (2019). "Sydney Brenner (1927-2019) Mischievous steward of molecular biology's golden age". Nature. 568 (7753): 459–459. doi:10.1038/d41586-019-01192-9. ISSN 0028-0836. PMID 30988427. 1 2 Brenner, Sydney (1974). "The genetics of Caenorhabditis elegans". Genetics. 77 (1): 71–94. PMC 1213120 . PMID 4366476. ↑ Sulston, J.; Brenner, S. (1974). "The DNA of Caenorhabditis elegans". Genetics. 77 (1): 95–104. PMC 1213121 . PMID 4858229. 1 2 "Sydney Brenner EMBO profile". people.embo.org. Heidelberg: European Molecular Biology Organization. 1 2 "Sydney Brenner PhD". scripps.edu. Archived from the original on 2 February 2012. 1 2 3 "Janelia Farm: Sydney Brenner". hhmi.org. Archived from the original on 2007-12-27. ↑ "Research Units | Okinawa Institute of Science and Technology Graduate University OIST". Oist.jp. 2016-02-01. Retrieved 2016-12-01. ↑ Thompson, H. (1973). "Cyril Norman Hinshelwood 1897-1967". Biographical Memoirs of Fellows of the Royal Society . 19: 374–431. doi:10.1098/rsbm.1973.0015. 1 2 Brenner, Syndney (1954). The physical chemistry of cell processes: a study of bacteriophage resistance in Escherichia coli, strain B (DPhil thesis). University of Oxford. OCLC 775695643. EThOS uk.bl.ethos.672365. ↑ Rubin, Gerald Mayer (1974). Studies on 5.8 S Ribosomal RNA (PhD thesis). University of Cambridge. OCLC 500553465. EThOS uk.bl.ethos.471132. ↑ White, John Graham (1974). Computer Aided Reconstruction of the Nervous System of Caenorhabditis Elegans (PhD thesis). University of Cambridge. OCLC 180702071. EThOS uk.bl.ethos.477040. ↑ Elizabeth Dzeng (2014). "How Academia and Publishing are Destroying Scientific Innovation: A Conversation with Sydney Brenner". kingsreview.co.uk. Archived from the original on 5 February 2015. ↑ Wade, Nicholas (5 April 2019). "Sydney Brenner, a Decipherer of the Genetic Code, Is Dead at 92". The New York Times. ↑ Hodgkin, JA; Brenner, S (1977). "Mutations causing transformation of sexual phenotype in the nematode Caenorhabditis elegans". Genetics. 86 (2 Pt. 1): 275–87. ISSN 0016-6731. PMC 1213677 . PMID 560330. ↑ Horace Freeland Judson The Eighth Day of Creation (1979), pp. 10–11 Makers of the Revolution in Biology; Penguin Books 1995, first published by Jonathan Cape, 1977; ISBN 0-14-017800-7. ↑ Brenner, S.; Elgar, G.; Sanford, R.; Macrae, A.; Venkatesh, B.; Aparicio, S. (1993). "Characterization of the pufferfish (Fugu) genome as a compact model vertebrate genome". Nature. 366 (6452): 265–68. Bibcode:1993Natur.366..265B. doi:10.1038/366265a0. ISSN 0028-0836. PMID 8232585. 1 2 "Sydney Brenner: A Biography" by Errol Friedberg, pub. CSHL Press October 2010, ISBN 0-87969-947-7. ↑ de Chadarevian, Soraya (2009). "Interview with Sydney Brenner". Studies in History and Philosophy of Science Part C: Studies in History and Philosophy of Biological and Biomedical Sciences. 40 (1): 65–71. doi:10.1016/j.shpsc.2008.12.008. ISSN 1369-8486. PMID 19268875. ↑ Friedberg, Errol C. (2008). "Sydney Brenner". Nature Reviews Molecular Cell Biology. 9 (1): 8–9. doi:10.1038/nrm2320. ISSN 1471-0072. PMID 18159633. ↑ "Sydney Brenner publications". Google Scholar . Retrieved 28 September 2008. ↑ "Errol C. Friedberg. Sydney Brenner: A Biography" (PDF). cshlpress.com. 1 2 "Sydney Brenner, Biographical". nobelprize.org. Retrieved 6 April 2019. ↑ "Brenner, Sydney (1927– ) World of Microbiology and Immunology". encyclopedia.com. Retrieved 27 July 2016. ↑ "Dr Sydney Brenner". Exeter College. Retrieved April 6, 2019. ↑ "Sydney Brenner: Senior Distinguished Fellow of the Crick-Jacobs Center". Salk Institute. ↑ Volkin, Elliot; Astrachan, L. (1956). "Phosphorus incorporation in Escherichia coli ribonucleic acid after infection with bacteriophage T2". Virology. 2 (2): 149–161. doi:10.1016/0042-6822(56)90016-2. ISSN 0042-6822. ↑ Kaplish, L. (19 February 2014). "Uncovering a scientific life in the archives". 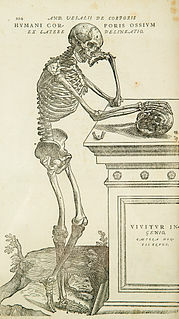 Wellcome Library blog. Retrieved April 5, 2019. ↑ Lloyd-Evans, L. P. M. (January 2005). A Study into the Prospects for Marine Biotechnology Development in the United Kingdom (PDF) (Report). Volume 2 – Background & Appendices. Foresight Marine Panel Marine Biotechnology Group. p. 237. Retrieved April 5, 2019. ↑ "Letter by Brenner (primary source)" (PDF). rutgers.edu. ↑ Crick, FH; Brenner, S; Klug, A; Pieczenik, G (December 1976). "A speculation on the origin of protein synthesis". Origins of Life. 7 (4): 389–97. Bibcode:1976OrLi....7..389C. doi:10.1007/BF00927934. PMID 1023138 . Retrieved 8 March 2018. ↑ Crick won a Nobel prize in 1962, Brenner in 2002, and Klug in 1982. However, this is not the only case. See Barton, D. H. R.; Jeger, O.; Prelog, V.; Woodward, R. B. (March 1954). "The constitutions of cevine and some related alkaloids". Experientia. 10 (3): 81–90. doi:10.1007/BF02158513. PMID 13161888. Barton (1969), Prelog (1975) and Woodward (1965) all became Nobel winners. ↑ Sydney Brenner (8 December 2002). "Nobel Lecture: Nature's Gift to Science" (video & pdf). nobelprize.org. Retrieved 28 September 2008. ↑ Brenner, Sydney (2009-06-01). "In the Beginning Was the Worm …". Genetics. 182 (2): 413–415. doi:10.1534/genetics.109.104976. ISSN 0016-6731. PMC 2691750 . PMID 19506024. ↑ "Dr. Sydney Brenner | Okinawa Institute of Science and Technology Graduate University OIST". Oist.jp. 12 January 2010. Archived from the original on 18 December 2015. Retrieved 1 December 2016. ↑ Profile, Scripps.edu; accessed 28 July 2016. ↑ "Library: Sydney Brenner's Loose Ends". cell.com. ↑ Brenner, Sydney (1994). "Loose Ends". Current Biology. 4 (1): 88. doi:10.1016/S0960-9822(00)00023-3. ISSN 0960-9822. ↑ Brenner, Sydney. "Coming from Eastern European stock" – via www.webofstories.com. ↑ "Sydney Brenner interviewed by Alan Macfarlane, 2007-08-23 (film)". alanmacfarlane.com. ↑ "Genomes Tell Us About the Past: Sydney Brenner". iBiology.org. ↑ "The Sydney Brenner papers". Wellcome Library. 2016-10-25. Retrieved 2016-12-01. ↑ "10-on-10: The Chronicles of Evolution". ↑ Sydney Brenner's 10-on-10: The Chronicles of Evolution. Wildtype Books. 2018-11-09. ISBN 978-9811187186. ↑ Brenner, Sydney; Sejnowski, Terrence (2018). In the Spirit of Science: Lectures by Sydney Brenner on DNA, Worms and Brains. World Scientific Publishing Co. doi:10.1142/11029. ISBN 978-981-3271-73-9. ↑ Gilbert, S.F. (2000). "The Developmental Mechanics of Cell Specification". Developmental Biology. Sunderland (MA): Sinauer Associates. ISBN 978-0-87893-243-6. ↑ McKay, R. (1997). "The Origins of the Central Nervous System". Isolation, Characterization and Utilization of CNS Stem Cells. Berlin Heidelberg: Springer-Verlag. pp. 169–170. ↑ Marcus, Gary Fred (2004). The Birth of the Mind: How a Tiny Number of Genes Creates the Complexities of Human Thought. Basic Books. p. 64. ISBN 9780465044054. ↑ Rensberger, Boyce (1998). Life Itself: Exploring the Realm of the Living Cell. Oxford University Press. p. 162. ISBN 9780195125009. ↑ "Sydney Brenner CV" (PDF). ETH Zurich . Retrieved 6 April 2019. ↑ "Sydney Brenner Curriculum Vitae". NobelPrize.org . Retrieved 6 April 2019. ↑ "All Gairdner Winners". The Canada Gairdner Awards. Retrieved April 5, 2019. ↑ "2002 Nobel Prize". nobelprize.org. Retrieved 28 September 2008. ↑ "Dan David Prize laureate 2002: Sydney Brenner". dandavidprize.org. Archived from the original on 23 July 2011. Retrieved 28 September 2008. ↑ Sudhausi, Walter; Kiontke, Karin (25 April 2007). "Comparison of the cryptic nematode species Caenorhabditis brenneri sp. n" (PDF). Zootaxa. 1456: 45–62. doi:10.11646/zootaxa.1456.1.2 . Retrieved 28 September 2008. ↑ "Sydney Brenner Institute for Molecular Bioscience". University of the Witwatersrand. Retrieved 28 September 2008. ↑ István Hargittai; Magdolna Hargittai (2006). Candid Science VI: More Conversations with Famous Scientists. p. 32. ISBN 9781908977533. ↑ Shuzhen, Sim (5 April 2019). "Sydney Brenner, 'father of the worm' and decoder of DNA, dies at 92". asianscientist.com. Retrieved 5 April 2019. ↑ "Sydney Brenner (1927–2019)". MRC Laboratory of Molecular Biology. 5 April 2019. Retrieved 6 April 2019.